I wonder if you ever approach Scripture as I often do. Many times when I read verses of Scripture my first thoughts will be of myself: What does this verse say about me? What does this verse say to me? How should I react to this verse? While those may not necessarily be the wrong questions to be asking perhaps they are not the first questions we should be asking. 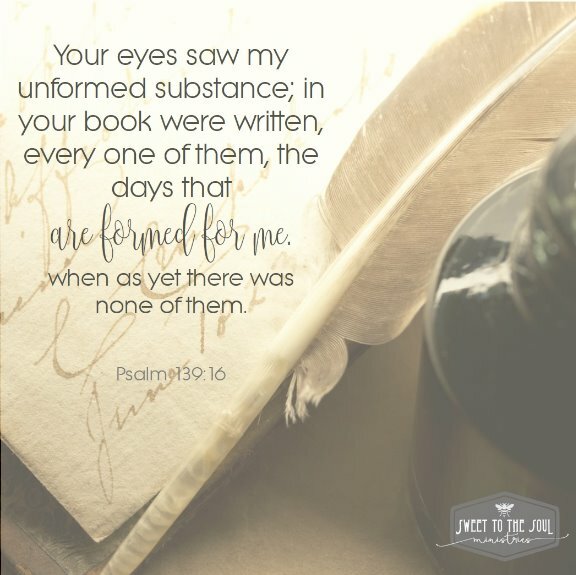 Instead of placing our primary focus on ourselves and who we think we are (as we so often do) we should first look to see what Scripture is teaching us about our Creator and who He is. So rather than asking Psalm 139:16 what we can learn about ourselves, instead what do these living and active words tell us about our Father God? 1. Our Creator, our Abba Father is omniscient. He is all knowing. Before you were ever conceived in your mother’s womb God knew all the days of your life and He created you for this very moment, for “such a time as this” (Esther 4:14). 2. Our God is omnipresent, everywhere and all at once. God exists outside of the constraints of time. He exists with you in every single moment of your life: the moment of your physical birth, the moment you received His Son Jesus Christ into your heart, the moment you will depart this earth and step into eternity with Him, and right now, at this very moment, as you read these words. 3. And our God is omnipotent; His power is unlimited. As Isaiah 55:9 instructs we cannot begin to fathom His thoughts or His ways “for as the heavens as higher than the earth” so are His thoughts and His ways higher than our own. We cannot understand the hows and whys, the ins and outs of our Father God and we will only be able to begin to understand ourselves by looking to Him. I used to think I wrote my own life story. Now I know that Jesus is the Author of my life (Acts 3:15). If I want to know who I am I must look first to my Author. ​My name is Tara. I am a mama, a wife, a teacher, a sister, a daughter, and most importantly a follower of Jesus and a child of God. 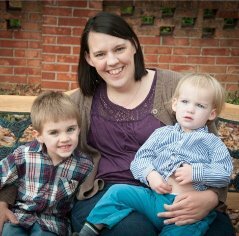 I have two little boys who love to run and jump and yell and scream and seem to love being attached to their Mama; Smith who is 6 and Charlie James who is 3. I have also been blessed with a “bonus” child, my stepdaughter Kaleigh, who just turned 12 and does her best to tolerate the antics of her little brothers. Tara, so good to meet you here. I never thought much about how seeking God is the first step to a more positive self image. You're right, as we seek Him and His truth, our view of ourselves becomes clearer, but if we make ourselves the center of that quest, we'll fall short of finding the truth picture of who we are. Really good.